See Lisa Is Cooking's take on Chilli tofu in coconut broth, Chilli rice paper rolls, Salted Szechwan pepper shrimp, and Balsamic chicken with garlic couscous from this book. This couscous is delicious! My family loves it and it's easy to put together. Another one made by my husband for Xmas day 2016. I did the prep and he cooked. Swapped Tamari for the soy sauce just because we have wheat and gluten issues in our family. Just be careful to watch the nuts as they will burn quickly if you take your eyes off them..as happened with my husband whilst he reread the rest of the recipe. Fortunately he managed to salvage most of them... so we didn't get the full complement of sticky spiced nuts. This was a shame because they were SO good. Still, nevermind. He will learn from this. We served this salad as a part of a meal .. We didn't do the pork as suggested in the recipe. A definite inclusion into the 'make again' category. Pg. 60. Seriously delicious. Homey, comforting, subtle but flavorful. Can't say enough good things about this soup. Restorative probably is best. This is tasty. We serve over jasmine rice and a side of broccoli with lemon. With the fruit and caramel, the cake doesn’t stand a chance of becoming dry, and it didn’t last long enough to do so anyway. 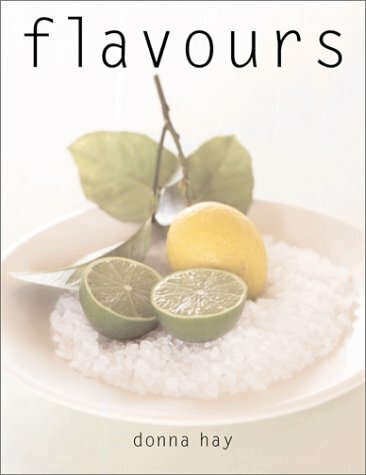 Celebrating a range of popular flavors used in modern cuisine, this book will awaken palates and renew enthusiasm for cooking.